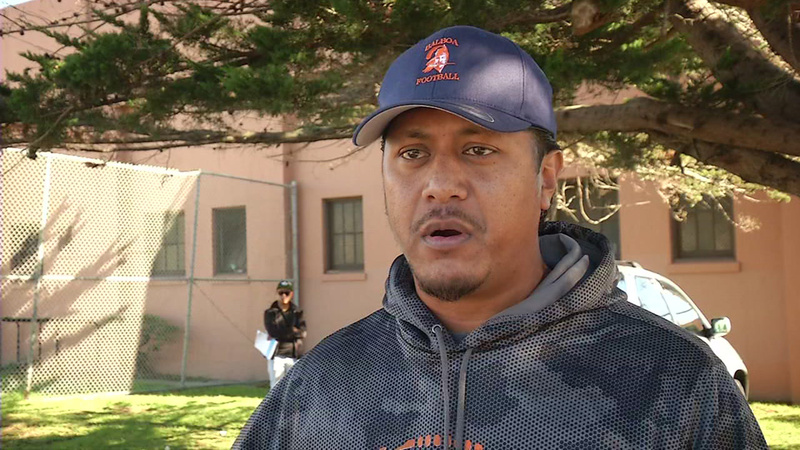 SAN FRANCISCO (KGO) -- A high school football coach is being called a hero for rescuing a woman from a burning apartment building in San Francisco. It happened Thursday morning on Seneca Avenue across the street from Balboa High School. Firefighters say flames shot through the kitchen of the upstairs unit. A Balboa High football coach was passing by and noticed the smoke. He then ran to help an elderly woman out of the first floor unit. "Flames coming out the window, glasses getting busted, you can hear things falling apart inside the house. Glass started shooting at us. We just hurried up and got her out of there," said Edward Williams, Balboa High School Football Coach. No one was hurt. The cause is still under investigation.